Survey of tillage practices in the Chesapeake Bay counties of Pennsylvania. A summary of 2012/2013 survey results can be requested from Capital RC&D. The 2015/2016 survey will begin in May 2015. Inventory of Healthy Soil Champions – See the map below. Compiled from nominations of agency staff and intended to provide a list of potential peer support for educational programs. 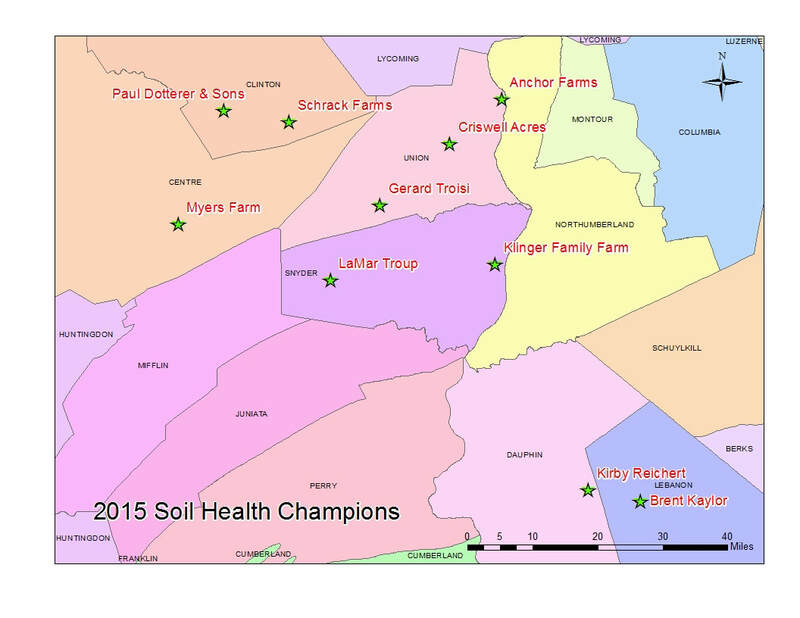 Healthy Soil Champions are identified in the map below. NRCS or conservation district staff can request contact information for the Healthy Soil Champions, please email info@capitalrcd.org. Videos of microscopic life found in soils from Pennsylvania farms can be viewed here. Please contact Capital RC&D for additional information. Coming soon - a revised and updated version of, “Transition to No-till Systems” by Sjoerd Duiker and Joel Myers.